Industrial Barre + Ride is a local Portland-bred fitness studio offering barre and indoor-cycling classes. 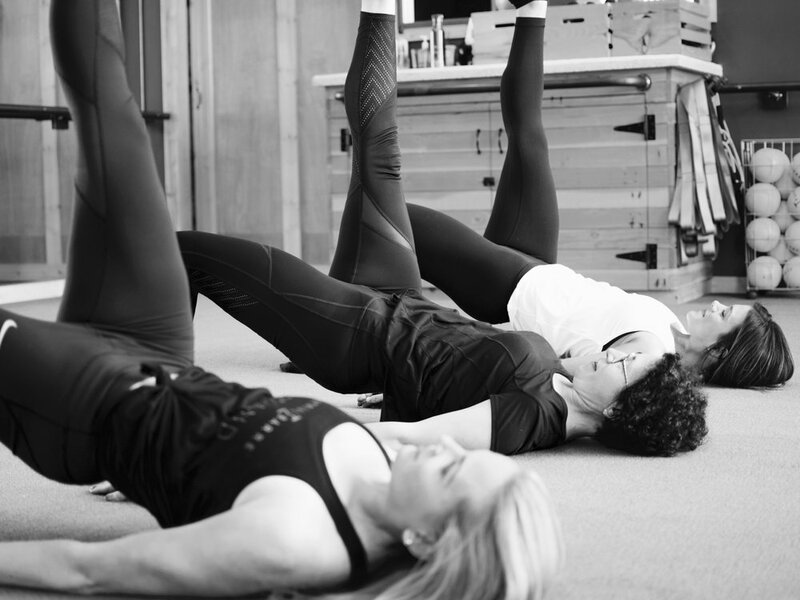 The Barre curriculum stems from the Lotte Burk Method, the original barre-based fitness routine developed over sixty years ago and designed to develop a strong physique with targeted ballet barre exercises. Clients are guided through an intense workout that sculpts and tones postural muscles to create efficiency and strength through its combination of intense isometric exercises. The full body workout challenges large muscle groups—legs, glutes, chest, back, arms and core—until they are fatigued and then focuses on dynamic stretching to shape muscles and fascia. All exercises are low impact, easy on the joints and dramatically improve posture, and have been rigorously studied and approved by certified physical therapists to ensure safety while maximizing effects with the lowest direct impact. All classes are taught on a carpeted floor, which provides extra support for the body and joints. The Ride curriculum is an indoor cycling class designed to build strength and endurance while having low impact on the joints. It features high-intensity cardio, strength training, and beat driven choreography. Classes include hills, sprints, endurance pushes and more resulting in a full-body workout that challenges large muscle groups. Industrial Ride uses proprietary Performance Metrics in each class which show real-time statistics during class so clients can gauge their efforts. After class, clients receive a summary email. Statistics are also stored in their account so they can track their progress over time. The studio is dark, loud, sweaty and fun! At Industrial Ride, clients ride together as one and share their energy. The studios are inspirational and community driven. Motivational and knowledgeable instructors are there every step of the way to encourage clients to have fun, and push beyond their limits—both mentally and physically—to reap the benefits of our signature workouts that are exhilarating and effective at building strength and endurance! Industrial Barre™ is our signature total body workout designed to strengthen and then stretch your muscles for increased blood flow and longevity. Each class incorporates a warm up, floor work and weight work before focusing on the ballet barre for the larger muscle groups such as: the back, quads, glutes and hamstrings and ends with intense core work and deep stretching. Take this class whether you are a beginner or a barre pro! Steel Barre™ is an advanced class designed for clients that are looking to raise the barre. In this focused and intense hour, steel your mind for more thigh, more seat, more core and a lot of fun! *Because of the intensity of this class, it is required that clients take twenty (20) I Barre classes before attending Steel Barre and that they have excellent form and are familiar with the I Barre exercise curriculum. Industrial Ride™ is our signature 45 minute indoor-cycling class that incorporates a warm-up, drills, choreography, hills, sprints and interval pushes that targets your legs, core and upper body. There is a weighted arm section, followed by one final cardio push, and a restorative stretch. Class is designed to build strength and endurance and give clients a full body workout. Real-time Performance Metrics and statistics are used to track progress. Our combo class is a fast paced class that incorporates strength training in the Barre studio and then cardio training in the Ride studio. Both parts of this class are full of energy and the time goes by extremely fast!